Okay, so recently I’ve been frequently asked about the addition of lemon to yogurt as a super food that promotes further weight loss that I am compelled to write an article about what science has to say about such recipe. On the positive side, The International Journal of Obesity published a study not so long ago that adding fat-free yogurt to the daily diet of people undergoing a calorie reduced regimens not only helped them lose more fat than their counterparts who didn’t include yogurt as a daily staple but it also helped them preserve more muscle tissue; a key player in maintaining metabolism revved up. Some commercially available yogurt also contains probiotics – a gut friendly bacteria which augments the digestive system and immunity functions. Citrus and lemon in specific have strong detoxifying effects on the body. Lemon assists the liver is wiping out the toxins in the bloodstream. It has a very unique characteristic in that it’s acidic in nature but in the body, it exerts an alkaline effect thus helping the body maintaining its internal healthy state of being slightly alkaline. Also, lemon is a solid source of vitamin C, a powerful antioxidant that protects cell membranes, helps skin regeneration and wound healing. On the other side of the spectrum, a serious disease called Milk Alkali Syndrome is on the rise due to excessive dairy intake and the un-calculated over the counter calcium supplementation. The syndrome is statistically the third cause of hypercalcemia (excessive blood calcium) leading to unfavorable manifestations. In addition, acidic nature of lemon has also been linked with accelerated tooth decay due to the effect of the citric acidic on the enamel of the teeth (the white matter protecting teeth). This last piece of info has been discussed and confirmed with professor Dr Doaa Fenoun, a PhD holder in the science of nutrition for cancer patients at the 5th Annual Middle East Congress on Clinical Nutrition held in Cairo last week. 1. 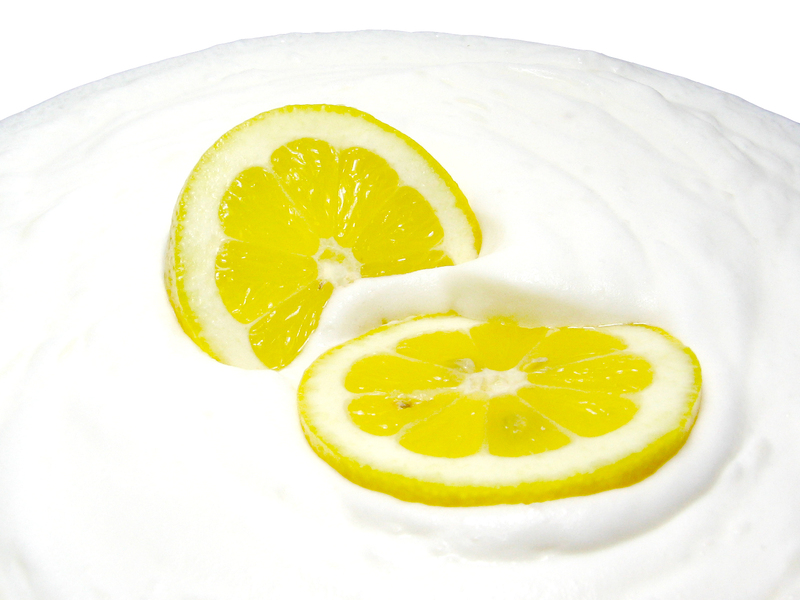 While there are documented and evidence based benefits for lemon and yogurt; there isn’t anything special about combining the two together. 2. By all means, augment your daily regimen with dairy products. Maintaining daily calcium intake is paramount, but don’t exceed 3 servings of milk/yogurt a day. 3. Don’t take over the counter calcium supplementation without consulting your healthcare professional. 4. Protect your chewing apparatus specially if you consume lemon or citrus on daily basis, consider drinking citrus through a straw to protect your teeth as per Mayo Clinic recommendations. 5. Also, please remember that the paramount of a successful weight loss regimen is a reduced balanced calorie intake that ensures adequate intake of vitamins and minerals to assist the metabolic processes in the body. No magic pills folks! 6. Vitamin C is heat sensitive thus drinking hot lemonade destroys its vitamin C content. Room temperature water is advisable to preserve the vitamin content. With this I hope I managed to provide an adequate answer for the question with which I started the article. Previous article2 Young Squash Stars Make Egypt Proud! Next articleEgypt Landmarks are lit up Blue!